This is about as fresh a story as I could ever hope to write about. The Foo Fighters are one of my absolute favorite bands and I can’t wait for next month when, at long last, I will see them live at Fenway Park. Well, that’s presuming that frontman Dave Grohl is okay. 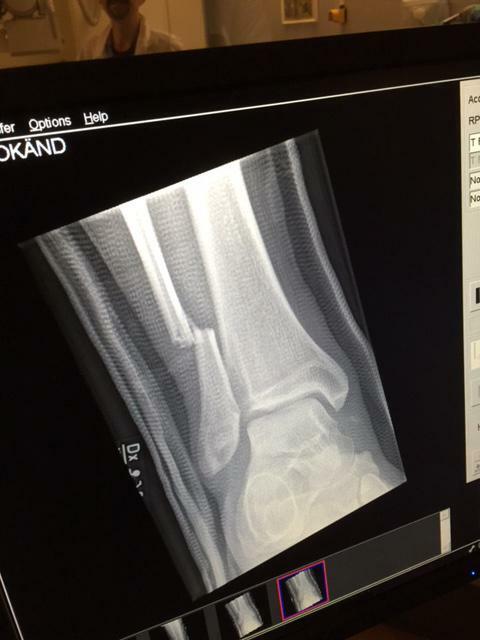 Pretty broken. That’s a fairly beautiful break from someone that has been there quite a few times. But that’s where my problem lies. Breaking bones is my thing. Playing to stadiums of thousands is Dave Grohl’s thing. We had an agreement. Contracts were signed. There was a notary, dammit. This was official. Now, if Dave wants to go ahead and make a switch I’d be okay with that, aside from the fact that I can’t play the guitar or sing Grohl’s vocal style. Other than that? We are perfect matches. 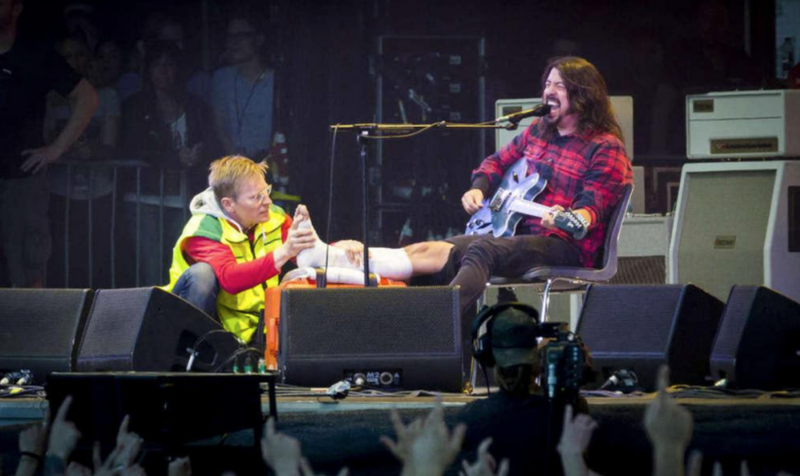 But Dave Grohl could come to Boston and be a charismatic blogger in a wheelchair any time. I don’t like competition. The fragile man position is taken Dave, if that is your real name.